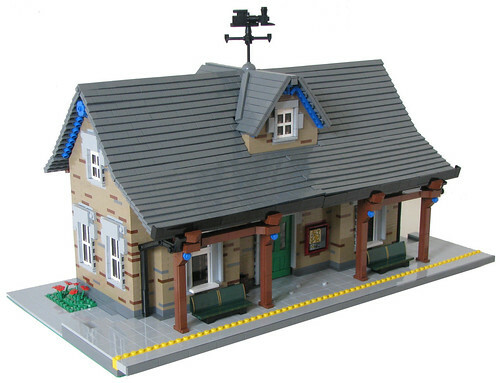 Brick Town Talk: On the Rails - LEGO Town, Architecture, Building Tips, Inspiration Ideas, and more! Pennsylvania - (BTT) No matter how much technology marches on, the humble train station seems quite content to stay as it always has been. Be sure to check out the map by the custom green door before taking a seat on the benches (which should look instantly familiar to train aficionados). Even the weather vane at the top of the building carries forward the railroad theme - truly no detail has gone unconsidered.